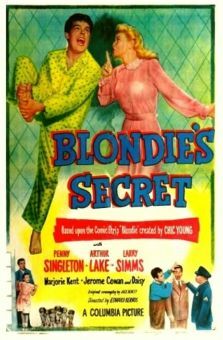 This is the celebrated Blondie episode that costars Rita Hayworth, who in 1940 was still just another Columbia contract actress. 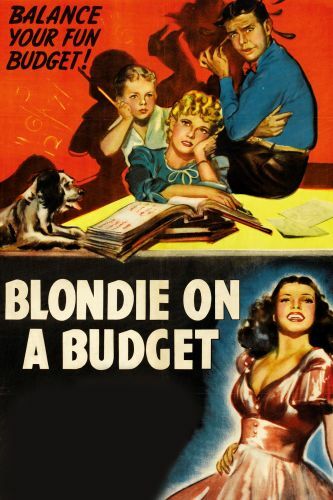 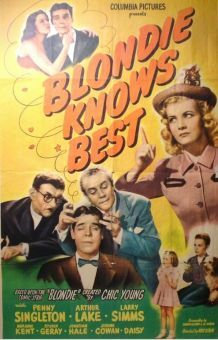 Hayworth plays an old flame of Dagwood Bumstead's (Arthur Lake), who moves into the Bumstead household when wife Blondie (Penny Singleton) advertises for a boarder. 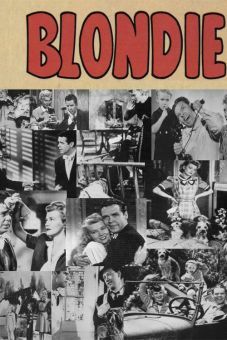 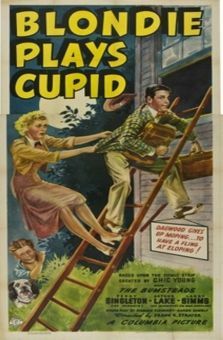 Blondie (Penny Singleton) tries to be civil when she meets Rita, but her true feelings are manifested in a superimposed montage of explosions and gunshots. 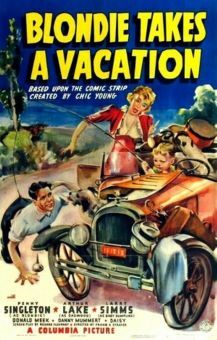 Innocently caught in a compromising position with Hayworth at a local movie house, Dagwood is shown the door by the heartbroken Blondie. 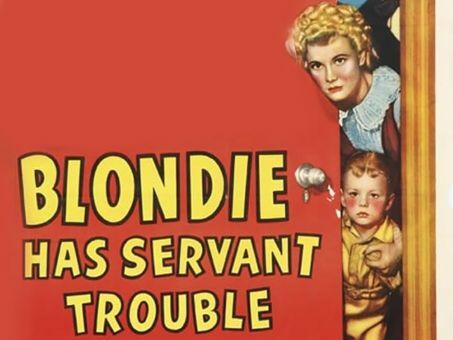 All misunderstandings are swept away by fadeout time in this fifth installment in Columbia's Blondie series.